As part of The New Home Company’s Builder Landscape Option program, this property was envisioned as a Tuscan themed entertainment garden. 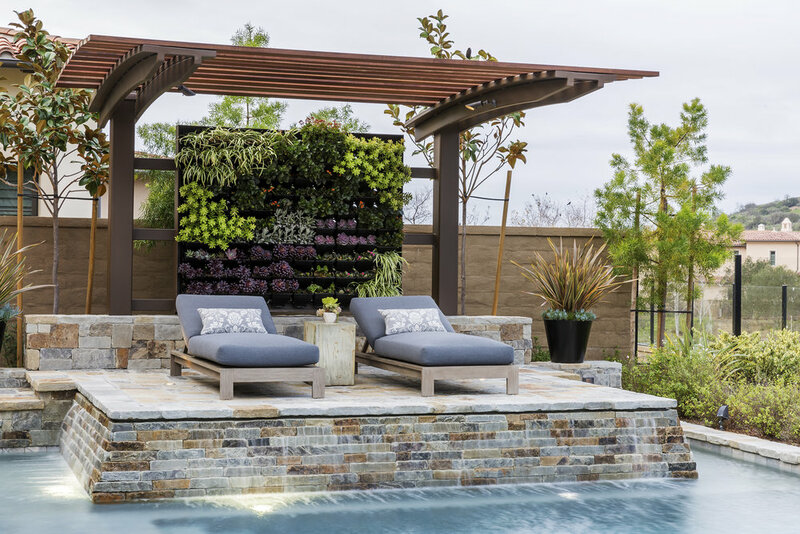 With dramatic canyon views towards the ocean, this garden features a raised sundeck with a cantilevered shade structure, a green wall backdrop, a large pool and spa with water weirs, and a sunken dining area with fire-table and outdoor kitchen/bbq counter. 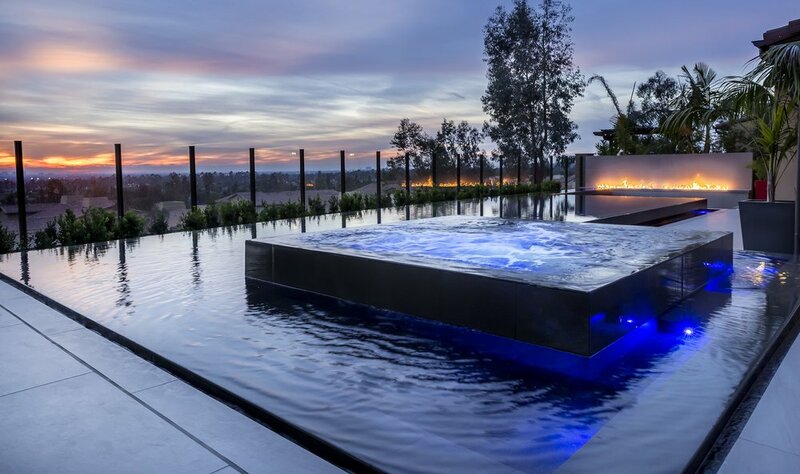 Sculpturesque mature olive trees frame the building and, along with a colorful Mediterranean plant palette comprised of eclectic succulents and grasses, provide tremendous curb appeal for this $5 million estate.